Mediterranean inspired, this dish pulls together petite diced tomatoes, feta cheese, onions, garlic, olive oil and a dash of cream to make a wonderful, gourmet sauce that pairs exceptionally well with shrimp and linguine pasta. From oven to delicious in just 15 minutes, if you thought gourmet dining at home was hard, think again! Shrimp (size: 16/20), Feta cheese, tomatoes, onion, parsley, dill, garlic, cream, olive oil & spices. 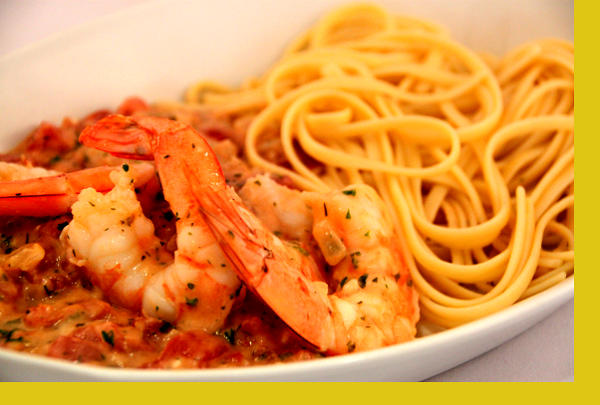 What a gourmet dining at home, indeed, for shrimp lovers. I have been a customer of Maria from the get go of her business, and have never missed this dinner, not once! Very tasty! We really loved this dish! The Mediterranean flavors made this dish so fresh and enjoyable. The taste of this sauce made me pause, close my eyes & think ohhhh, delicious. This is the 1st time that has happened to me & I'm not really a fan of Italian food. My son, my husband, and I all loved it. It was so light and delicious!! Thanks so much. This is one of my absolute favorites. I love, love it. 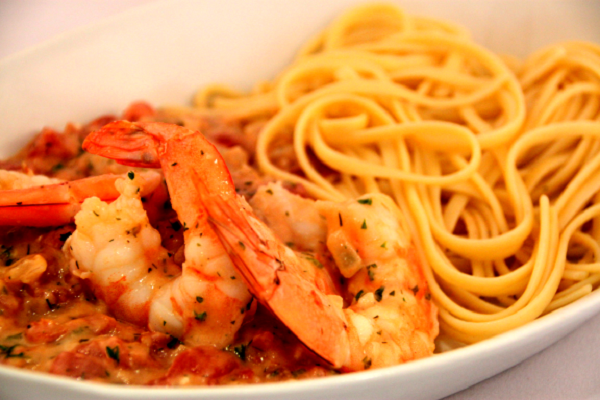 Shrimp lovers - this is another wonderful shrimp dinner from Maria's Gourmet Kitchen. Just try it, and I guarantee, you will be a regular customer for this meal!